Horror, Dinosaur, Roller Coaster, Flying, Cartoon Etc. 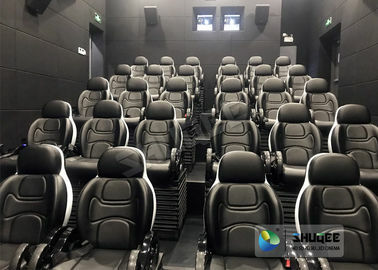 The film of 5D Movie Theater same as 3D Movie Theater, Shquee research and developed the control software to control the motion chair and environmental effects simulator to work with the films. 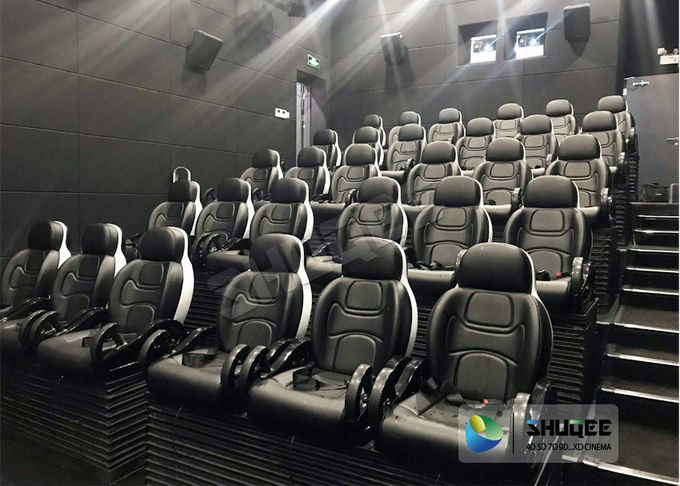 With the developed of the technology, Hydraulic and Pneumatic system motion chair are update into Electric motion system motion chair. It made the movement very smooth, soft, and confortable. We will provide you with the overall project design and construction guidance. Amazed movie, provide 50-100 movies for free and update every 3 months. 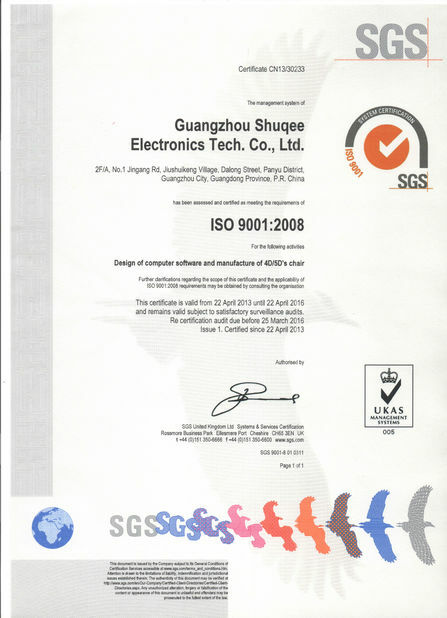 Got CE, ISO9001:2008, GMC, SGS, certificate. 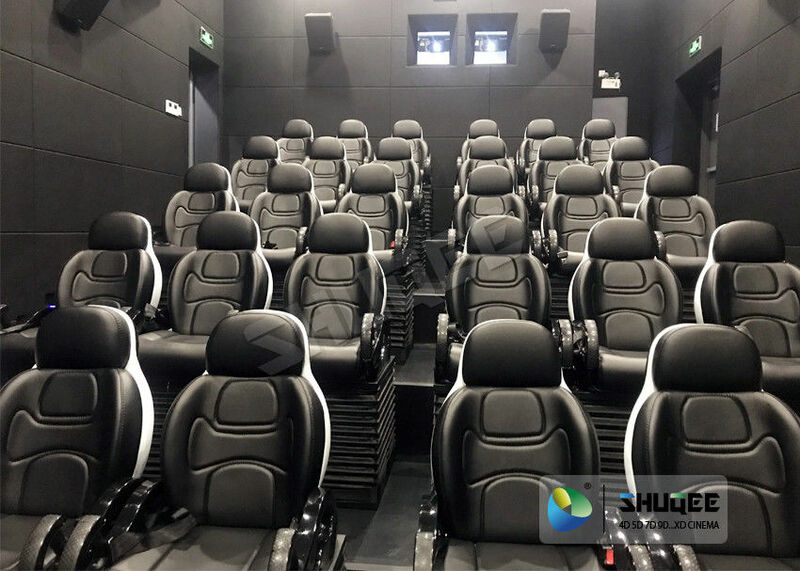 Shuqee Design department will make a design of the cinema according to clients venue size and special requirement. 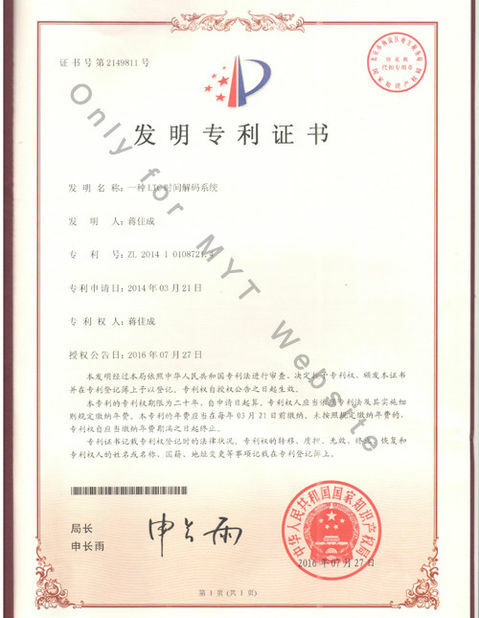 We are specialized in motion cinema industry for nearly 10 years, the technology of the motion cinema is very mature. If you have any question, we can provide the professional answer. We will send the engineer to client site to guide the installation. Wind simulator: used for wind, flight, racing car scenes. Lighting simulator: applied to lightning scenes. Smoke simulator: used for fires, wars, scenes.